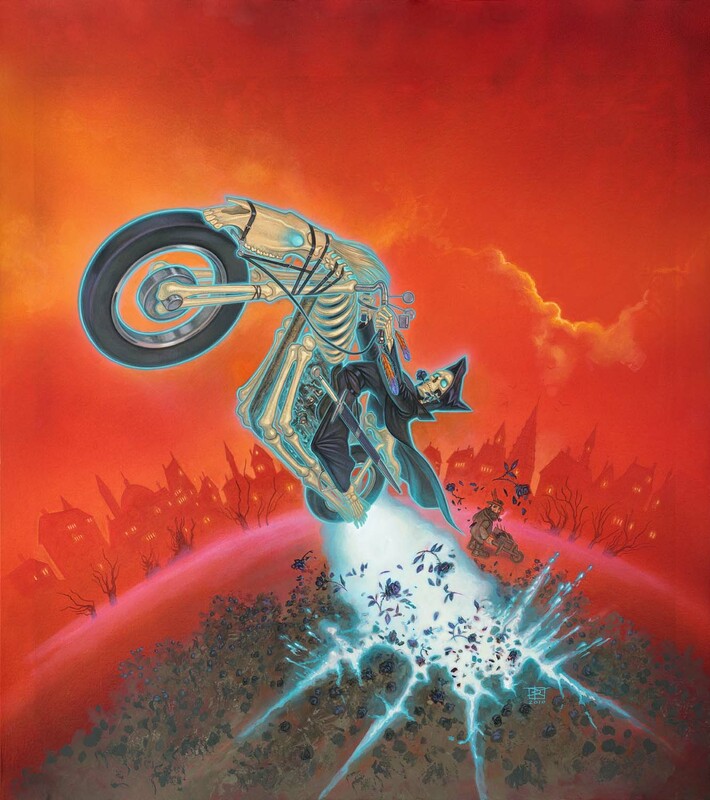 I’ve chosen Soul Music as the next installment for my ‘Wit and Wisdom of Discworld’ as I couldn’t resist doing another Death novel. 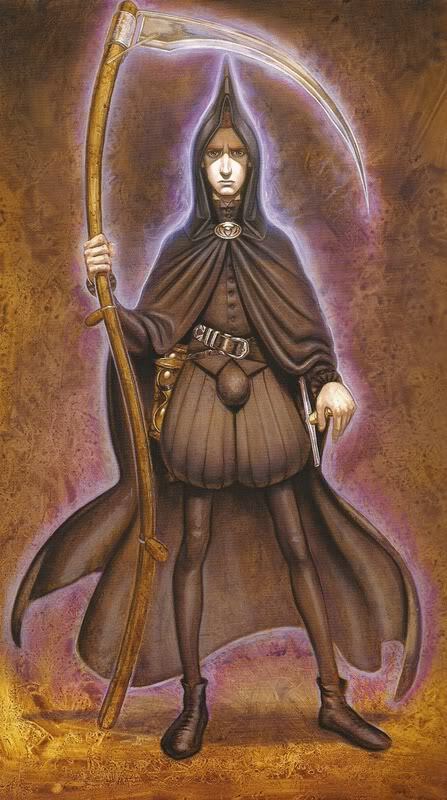 I think they are easily my faviourite collection of books by Terry Pratchett. Re-reading these small snippets of the books are making want to go back and read them all again. Unfortunately, they are all at my Mum’s house – I’ll have to go back home again soon and raid her bookselves! 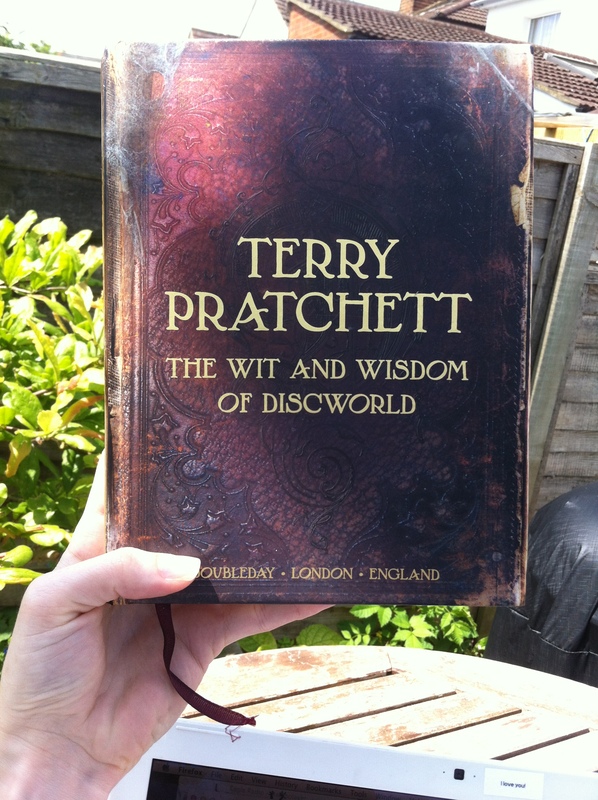 I’ve selected some quotes from ‘The Wit and Wisdom of Discworld’ which made me smile and laugh. There are also a few in there which I can definietely relate to considering I live and go out with a musician! ‘Other children got given xylophones. Susan just had to ask her Grandfather to take off his vest. It’s hard to grow up normally when Grandfather rides a white horse and weilds a scythe – especially when you have to take over the family business, and everyone mistakes you for the Tooth Fairy. 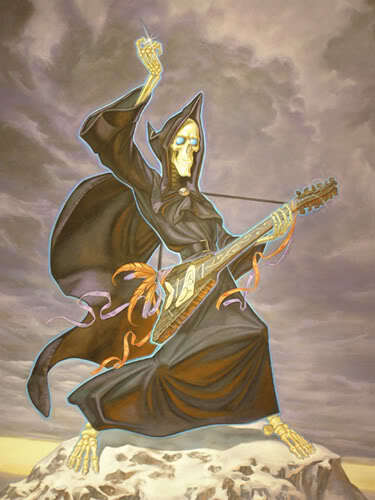 And especially when you have to face the new and addictive music that has entered the Discworld. It’s lawless. It changes people.It’s called Music With Rocks In. It’s got a beat and you can dance to it, but… it’s alive. – It looked like the kind of musical instrument emporium which doubles as a pawnshop, since every musician has at some time in his life had to hand over his instrument if he wants to eat and sleep indoors. – “We haven’t even practised together properly,” said Imp. “We’ll practise as we go along,” said Glod. “Welcome to the world of professional musicianship”. – The Mended Drum had traditionally gone in for, well, traditional pub games, such as dominoes, darts and Stabbing People In The Back And Taking All Their Money. – There is something very sad about an empty dressing room. It’s like a discarded pair of underpants, which it resembles in a number of respects. It’s seen a lot of activity. It may even have witnessed excitment and a whole gamut of human passions. And now there’s nothing much left but a faint smell. – The Patrician leaned back in an attitude that suggested attentive listening. He was extremely good at listening. He created a kind of mental suction. People told him things just to avoid the silence. I visited my Mum last week and stole this book from her! 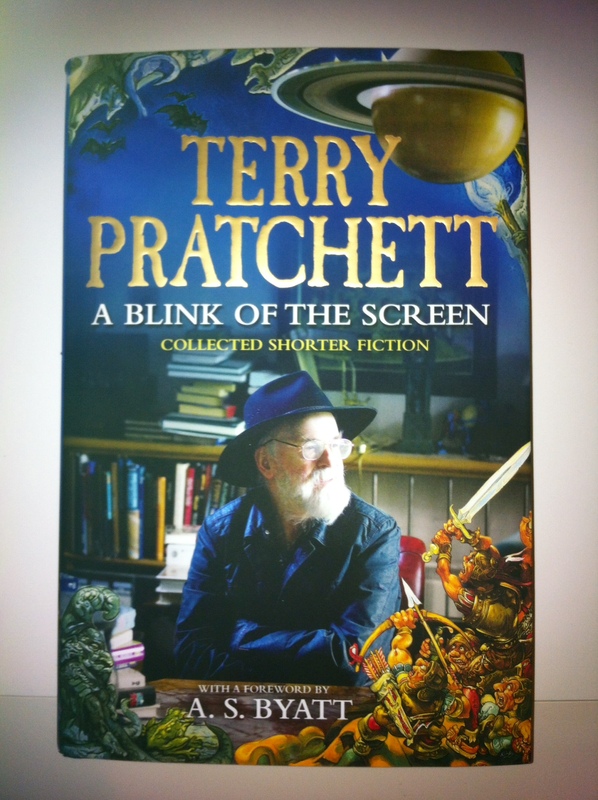 It was complied by Stephen Brigg’s by selecting extracts from all of Terry Pratchett’s Discworld books. It contains, book by book, the blurb of the title and then witty, compelling quotes. These are sometimes a page in length or sometimes just a line long. I want to dip into this book every week and select my own snippet of Terry Pratchett’s work that I want to share with you. I might end up making a page for this, but for now I’ll stick to posts. I’m writing this more for a selfish reason then anything else. I haven’t read these books for a while and want to get a taste of them again. I also want to share with others some of the wonderful words of Sir Pratchett with those who haven’t read his work. Maybe these quotes will pursuade you too! I’m going to start with Mort. If I remember correctly it’s one of the first Pratchett novels that I read and I definietly thinks it’s a good place to start. 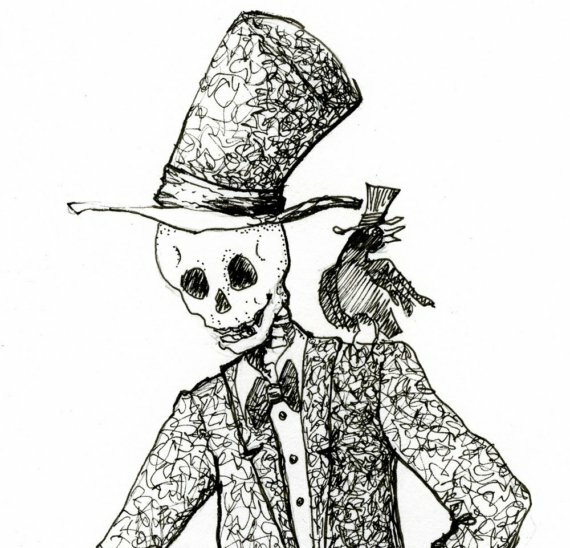 – THANK YOU, BOY, said the skull. WHAT IS YOUR NAME? – Ysabelle was heavily into frills. Even the dressing table seemed to be wearing a petticoat. The whole room wasn’t so much furnished as lingeried. Death’s face was a mask of terror. Well, it was always a mask of terror, but htis time he meant it to be. Quote from Terry Pratchett’s Death – So True! From ‘A Blink of the Screen: Collected Short Fiction’ by Terry Pratchett and in his short ‘Death and What Comes Next’. A really interesting audio link from the Wellcome Collection. This is a clip of Hedley Swain, who is the Early London History from the Musuem of London. It’s definitely worth a listen, he refers to the rights of the dead and some of the issues which arrive. Not quite sure how I feel about this! This is an article I found through a friend. Archaeology Warwickshire have discovered a lead coffin containing a Romano-British child. This isn’t the bit I find odd but the fact that they are wanting to name the child with a Roman name. Now I find this odd enough – many infant burials have been found and I have never heard of them being named before, unless they know for sure. Archaeology Warwickshire want to do this as ‘a mark of respect’ but how respectful is it giving the child a false name. What I think makes it worse is that you can vote for the name, again how respectful is this? Maybe I’ve become desensitized to all this, but I don’t know! What do you think?